What if you have totally contrasting styles? What if your partner just has bad taste? We help. Committing to a significant other till death do you part isn’t just about merging your future, but also your living space! So…what now? If you’ve had the pleasure (and pain) of planning a wedding together, you’ll know just how tricky it is to merge 2 different styles and opinions to make a single important thing. Spoiler alert: That experience is really just a metaphor for the rest of your lives. It’s going to include a lot of honest discussions, new revelations about each other, lessons on compromise, and arguments about the colour rose quartz being more pink or purple. Since we are by no means qualified to offer relationship advice, we thought we’d tackle something a lot smaller, but no less headache-inducing: how do you get both your styles to say “I do”? 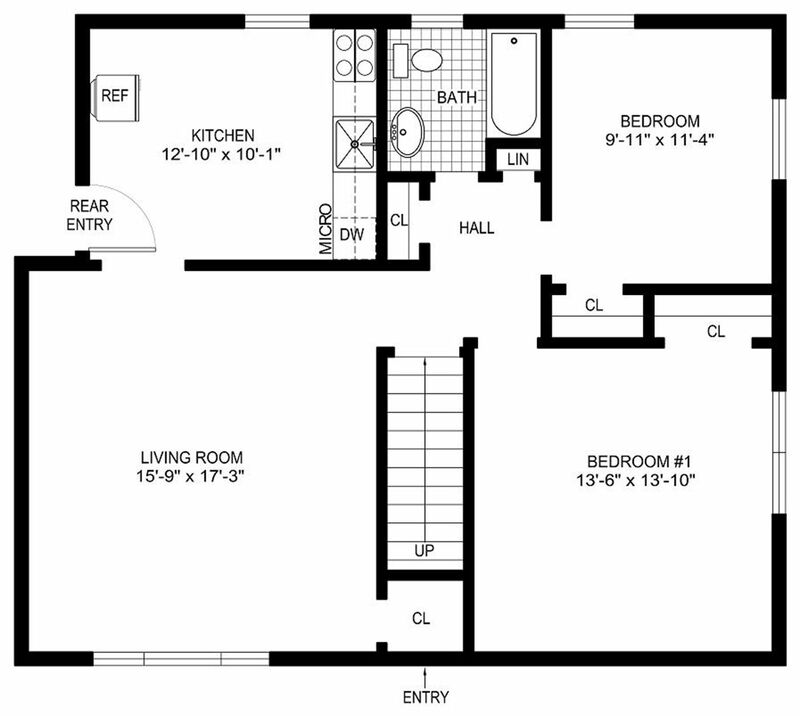 Before you start anything, request for the floor plan from your developer or landlord. Note down the measurements of the rooms, doors, windows, and other important features like columns or staircases. Then, with your partner, determine the function of each room. While the kitchen, living room, and master bedroom are obvious, what will you do with your spare room or your balcony? 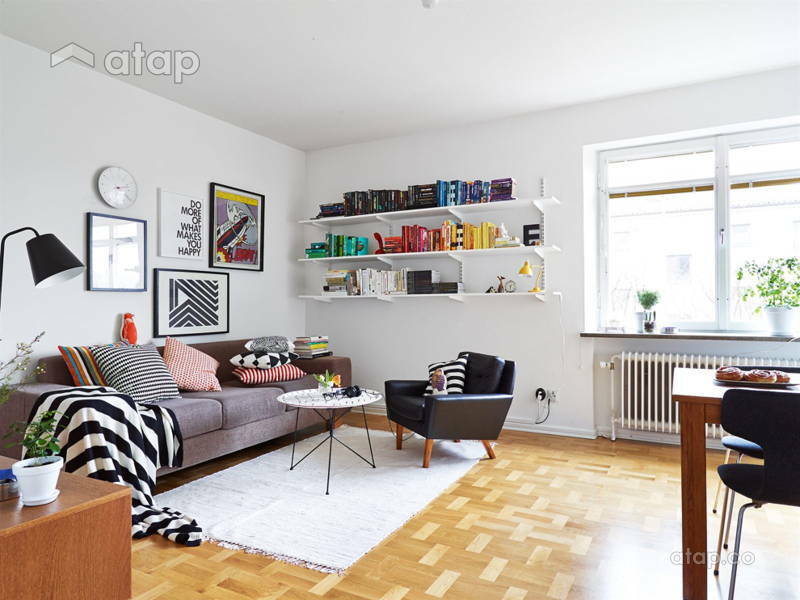 Will you need that space for reading, or will he need space for that workout-bench-slash-clothes-rack? Can a space accommodate both? Will your home be a relaxing sanctuary, your private country club, or an open bar for your friends? Planning the functions of rooms will help you envision the home as a whole, as opposed to jumping straight into little details that will matter less in the grand scheme of things, like whether the stain on your coffee table should be medium-dark or dark. Symbolically, it also gives the both of you equal rights to determining your shared future – bonus aww points. Have several no-holds-barred brainstorm session and remind each other to be as open-minded as possible. Ask each other how you’d like your home to be. It doesn’t have to be categorised into a specific style genre – use more than your words! It could be an image from the net, or even an encounter with an ornate mirror at the furniture store. Heck, it can even be the prints on a dress you bought on sale. Bring your ideas together and display them on a concept board. Concept boards solve most of life’s problems. Once you’re done with idea purging, conclude a common theme from your ideas that you can both buy into. He may prefer a more industrial style, and you a more modern interior, but can you find a common strand there? Is it rich textures, or is it a colour story? 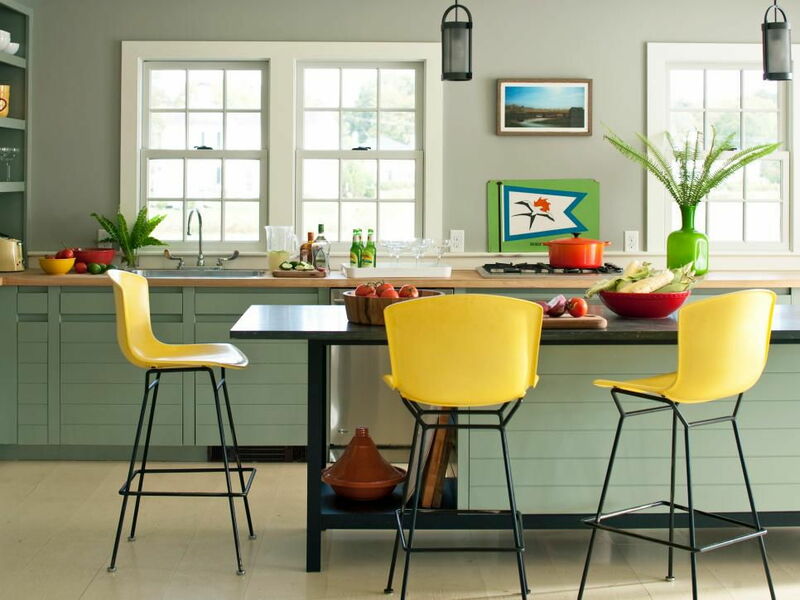 Identify those common themes to determine the look and feel of your new home. Like with the relationship, you’ll both come into this with your assets and baggage (I’m talking about that grotesque framed football jersey of his). It’s time to sort them out – keep the things that are in theme and throw or give away everything else. Here’s a cheat sheet on what to keep vs. what to throw. Like any veteran will tell you, marriage (even of your things) is about compromise. Bring your things together and group items with the same styles together. If you’ve got an art deco lamp that matches an artwork she’s collected on one of her travels, then put them together. Maybe even group all the woods as one category and all the metallics or glass in their own categories. Re-arrange them until (almost) everything belongs somewhere. Allocate different styles to different rooms, then apply the 80/20 rule of thumb. 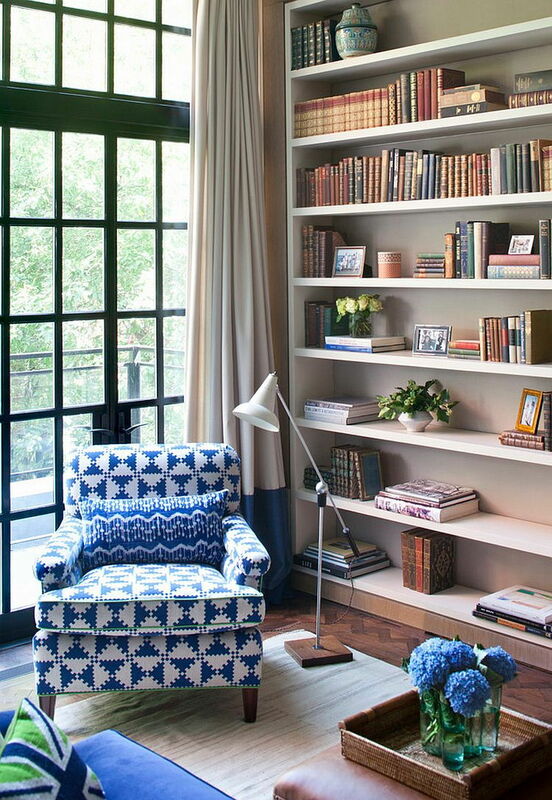 Do this by keeping the majority of the items in a room in one style, then add a few contrasting items. See how the contemporary gold pieces in this room update the retro furniture in this living room? If meshing the items are too difficult, consider some tweaking – reupholster an arm chair, paint a table or spray paint some drawer knobs. We wrote about making hand-me-down furniture work, you’ll be surprised to discover how a minor face lift can change the whole look of a furniture. The easiest way to unify a mish-mash of things is by painting/reworking them to fit the same colour story. If you or your partner still hates an item belonging to the other person after all that grouping and facelift, come to a compromise! Maybe let the framed football jersey only live in a space where your partner can call his. In turn, maybe renegotiate your Hello Kitty Happy Meal collection for the home office. 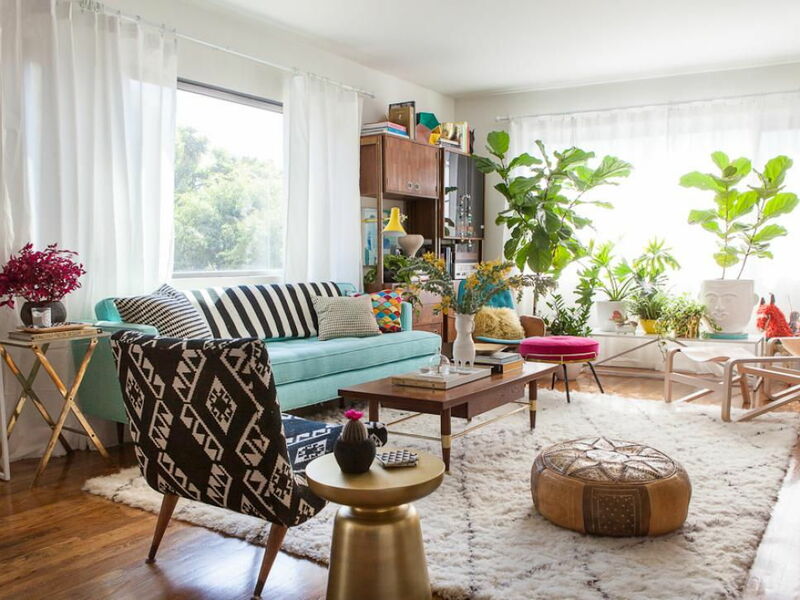 Read this for tips on pulling off mismatched furniture, read this. Material things are not worth having apartment-shattering arguments over. If you can’t agree on who owns better artwork, then buy new ones. Shop for new furniture, ones that you can both love, and that would appeal to both your aesthetics. Opt for neutral-coloured furniture and homeware. Neutral doesn’t have to be boring! Explore different textures and patterns in your bedding, for your feature wall, and with your furniture. White sheets emphasise textures and patterns even further – plus, they’ll give your bed a hotel feel. Gender neutral colours aren’t necessarily just whites, blacks, creams, and greys. How about a grey with a blue or pink undertone? Other neutral colours that also pop are burgundy and green. Start new traditions to celebrate the new union. Maybe stash away all the fridge magnets from your past travels in place of new ones from your shared travels! Start with major visual portions of the house, e.g. the feature wall in the living room, or what would be your favourite room, e.g. the bedroom. Make your way to the smaller parts of your house. To make sure that the home has a good balance of masculine and feminine touches, start with major furniture pieces that have more masculine elements (clean, streamlined, and more neutral). Think sofas, wall colours, and beds. 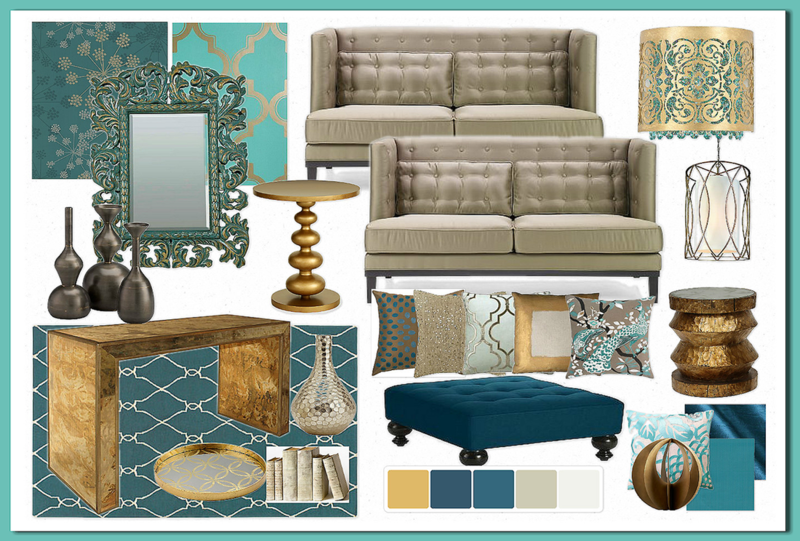 Then, add accent pieces, patterns, and/or textures. Do this with bedding, cushion covers, and photo frames. Lastly, add feminine touches in the form of bright vases, metallic knobs, or plush lamps. The reason why you start with more “masculine” elements is because they tend to be subtler. 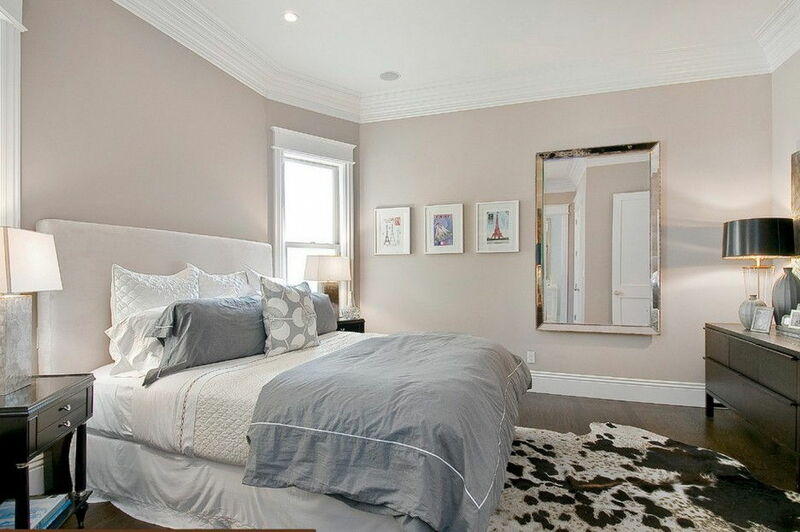 Adding “feminine” accents that are usually louder gives each room the perfect balance. Still bickering about the right style for your home? Get in touch with Malaysian interior designers.